In a season of the three cold days followed by four warm ones (i.e., that is said as a weather pattern and a sign of spring), we had the 2nd BOSIET course in February. It was difficult season to manage physical condition and the training were in different environment than usual (such as in outdoor training ground and swimming pool) using different muscle to experience somehow pleasant (?) fatigue. 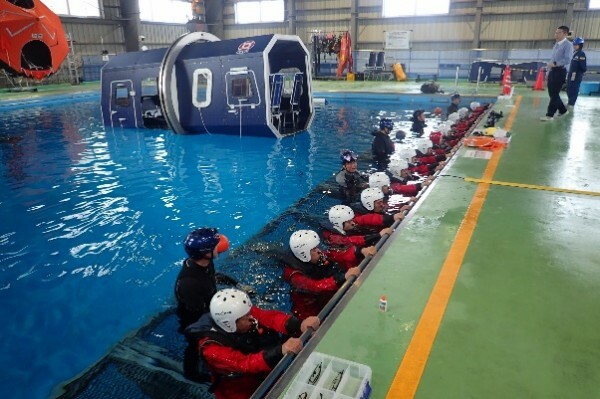 I would like to introduce one scene from the practical training, where the delegates practice to be familiar with EBS (Emergency Breathing System) in HUET of BOSIET. When a helicopter is capsized after ditching to the water, EBS is used as the breathing device for emergency use to help breathing during escape from underwater. It enable us to extend breathing time in the water. The device was unfamiliar for everybody, so practice was in step-by-step. Commencing from basic usage of the mouthpiece followed by the breathing in the water and then moving in the water while using the device (the photo on right). 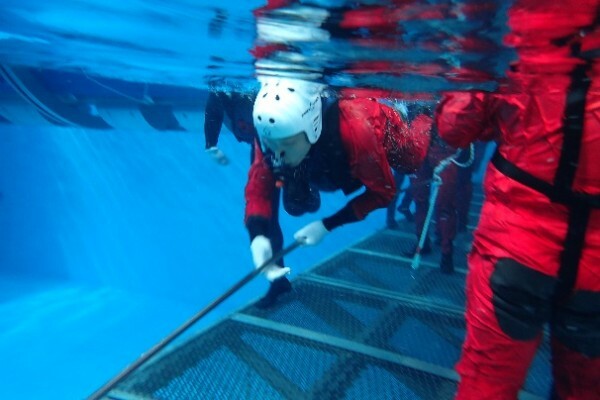 Escaping from the helicopter underwater must be big pressure for the delegates, therefore, the training is designed step-by-step so that the delegates can feel secured while training. Here is one of the comments from our delegates. The training environment is quite different from a usual life, so we are trying our best to produce comfortable and easy atmosphere for the delegates. 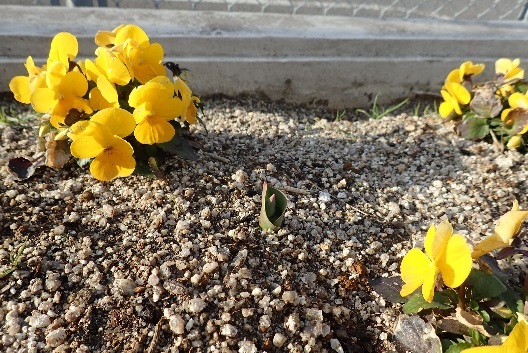 On a final note, a footstep of spring can be heard a little bit here in NSTC. Tulip in the flower bed along the parking lot next to the training facility are in buds. We think that the delegates will be welcome by tulip in bloom in the end of next month. Don’t miss it! !